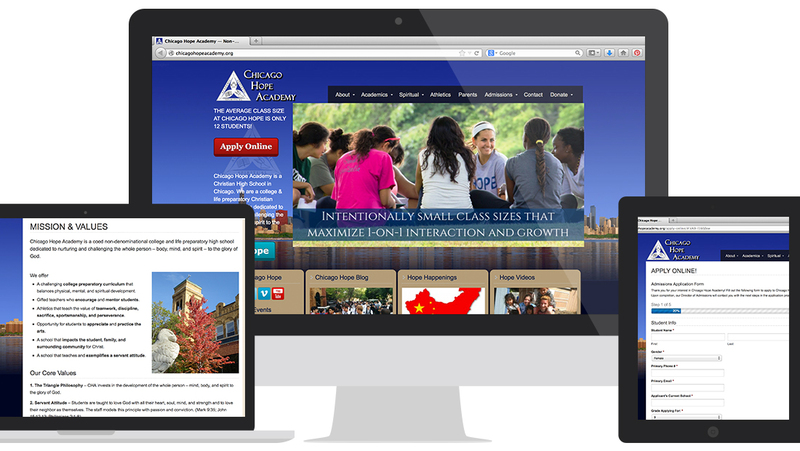 Chicago Hope Academy is a non-denominational Christian High School in the heart of Chicago’s westside. The school is a college and life preparatory academy that is dedicated to nurturing and challenging students academically, physically, and spiritually. As the hours between 3pm-6pm are the most dangerous for inner-city youth, lives are not only impacted during school hours but potentially kept safe through after-school activities and enrichment programs. Donor development and retention is a primary focus for school leadership and administrators, with over 50% of student tuition relying on donors and grants. Our team spent considerable time working with CHA leadership to determine the best possible donor initiatives that would generate results for various donor segments. A new website was built, video campaign released, custom landing page designed, and ultimately an online campaign through email and social media that would raise over a million dollars for this deserving school!